Information that absolutely needs to be shared. Originally posted on The CPS Boating Resource WordPress site. There are members of Squadrons in the Lower Mainland that are certified to do Courtesy Checks. You may contact the closest Power & Sail Squadron to you and ask for more details. Every year thousands of boaters go out on the water without the proper safety equipment that is required by law. This equipment can be of great benefit and comfort and can mean the difference between a great day out on the water and a potential disaster. Passive ventilation that allows air to flow through below decks. Exhaust fan or bilge blower that removes dangerous vapours. Flame arrester and heat shielding for inboard engines. Consider requesting a Recreational Vessel Courtesy Check. This is a totally voluntary service and is conducted without penalty. You will receive an inspection certificate and, when you pass, a sticker. If a deficiency is found you will simply be advised of the requirement and a re-inspection will be offered when you have added these items. Canadian Power and Sail Squadrons are currently the only non-governmental national source for this programme. They will inspect vessels that are in or out of the water. They can tell you what is required and give you specific information about each item, what items are best for your vessel and boating conditions and even how to properly use certain items or what additional training might be available. Volunteers can also talk to you about PFDs, Sail Plans, Alcoholic Beverage Consumption while on board, Sewage Disposal and Pre Departure Check Lists. 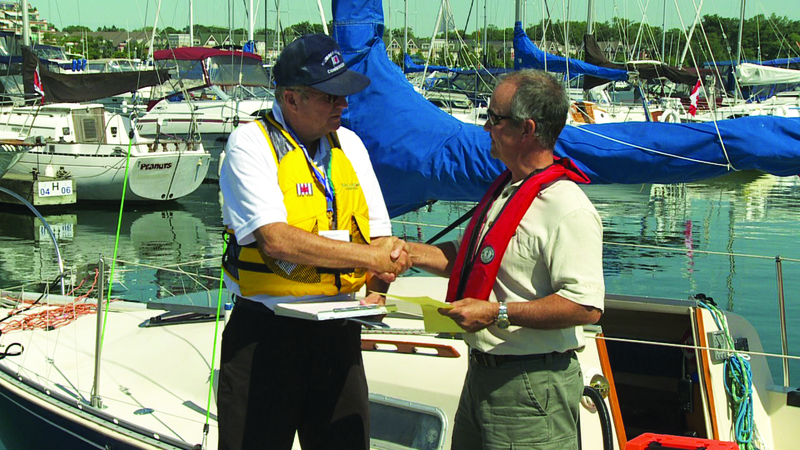 For more information contact your local Canadian Power and Sail Squadron or visit their web site: www.cps-ecp.ca. 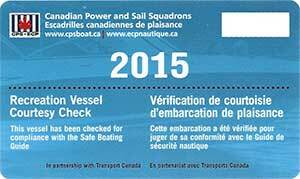 CPS-ECP can offer free Recreational Vessel Courtesy Checks (RVCC) at your yacht club or marina during the boating season. Again, contact your local CPS-ECP Squadron. If you have any specific boating safety related questions, please feel free to “Just Ask John” here. It is said that knowledge is power and when it comes to boating you can never have too much of it. That knowledge can give you the confidence to really enjoy your boating experience and it can give others confidence in your abilities as a safe boat operator. The best trip is always a safe return trip.